Despite recording strong growth in international passenger arrivals in recent years, C9 Hotelworks says the Koh Samui remains a “calm in the middle of a gathering storm” as most of Thailand’s resort destinations face an onslaught of mass tourism. A new report by C9 showed that international passenger arrivals at Koh Samui’s airport over five years doubled in 2016, rising another 15% in 2017 over the previous year. Two factors that come into play in the airlift is Bangkok Airways’ proliferation of codeshare agreements along multiplication of more regional direct routes, C9 says. C9 pointed out that while LCCs have tapped into Asia’s soaring consumer class in most destinations, creating dizzying growth numbers, the island’s privately-owned airport has allowed for poised and sustained development over the past five years. 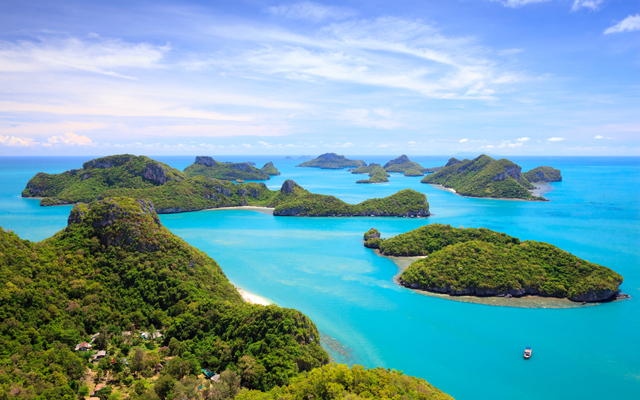 In Koh Samui, airlift, luxury hotel brands and a developing wellness sector are among the factors that are “boding well for a sustainable growth profile”, according C9. Citing figures from STR, C9 observes the domino effect of the various factors at play on the defined uptick in Koh Samui’s hotel performance over the past three years. Numbers from the Thai Hotels Association reflect a market-wide RevPAR increase as of the end of June of 7%, comparing year-on-year figures. C9 Hotelworks managing director Bill Barnett said the island’s appeal to upscale travellers stems from its barefoot luxury makings, complemented by global brands such as Four Seasons, W, Conrad, InterContinental and the recently opened Ritz-Carlton, but also a rising tide of wellness focused resorts. “According to market research, wellness properties such as Kamalaya, Samahita and Vikasa attract year-round visitors, have strong appeal overseas, and trade far less seasonally than many of the legacy properties,” he continued. Looking ahead, C9’s research points out the growing influence of mainland China which is linked to Bangkok Airways plan to expand airlift to that region. This trend can be seen in airport international passenger arrivals that by the end of June this year saw Chinese grow by 58%. One of the traditional geographic source markets Germany also saw a year-on-year spike of 35% for the same period.